You can't have watched the Germany-Algeria match (2-1) without having great admiration for the sprit of the Algerian team. Even after falling behind 2-0, with virtually no time left in overtime, Algeria scored one goal (at minute 121) and then came very close to scoring another. As in previous matches, goalkeeping was a key. 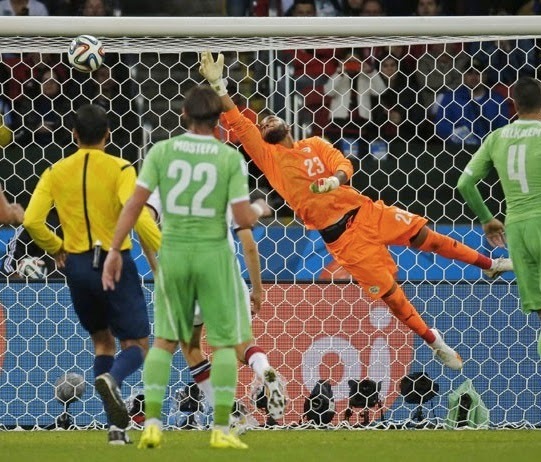 Here's Raïs M'Bolhi making one of his many saves for Algeria. Neuer man of the freaking match. The perfect game. Dunno what we did to get good goalies in Germany, but whatever it was, it saved our sorry overweight behinds today. 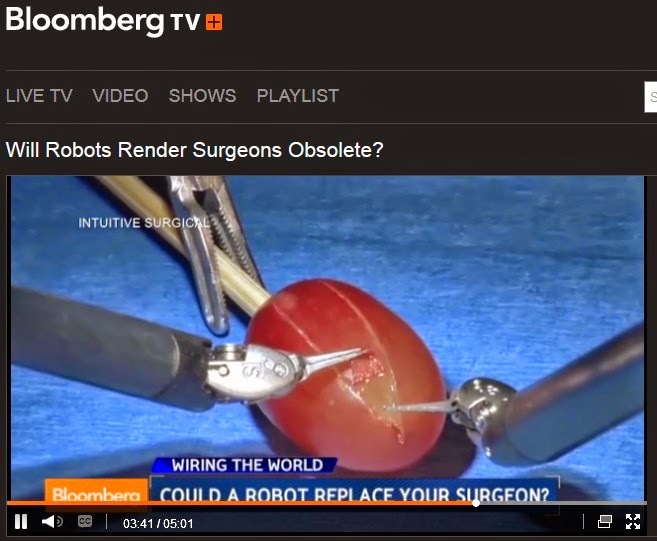 A short while ago, I displayed a video from Bloomberg TV in which Dr. Michael Stifelman from NYU's Langone Robotic Surgery Center makes a number of assertions about the virtues of surgery conducted with the daVinci robot. By all accounts, Dr. Stifelman is an excellent surgeon, but his comments were so in tune with those emitted by Intuitive Surgical, the maker of the robot, that my curiosity was piqued. Could it be that he, like other doctors who have hawked this technology, has received financial support from the company? 1 -- All disclosures from our medical staff are confidential, so we’re unable to provide the information you request. "As a matter of public confidence, it is hard to understand why disclosures would be confidential. If you were a patient, wouldn't you want to have the right to know if your MD was receiving payments from a pharma company or equipment manufacturer?" 2 -- We have policies in place concerning the endorsement of medical devices and the use of the institution's name in support of private companies and we are reviewing the matter you have brought to our attention. "Would you please provide the links to these policies so I can read them. Also, will you please send me the result of the review you are conducting? When might that be completed, and who is conducting it?" 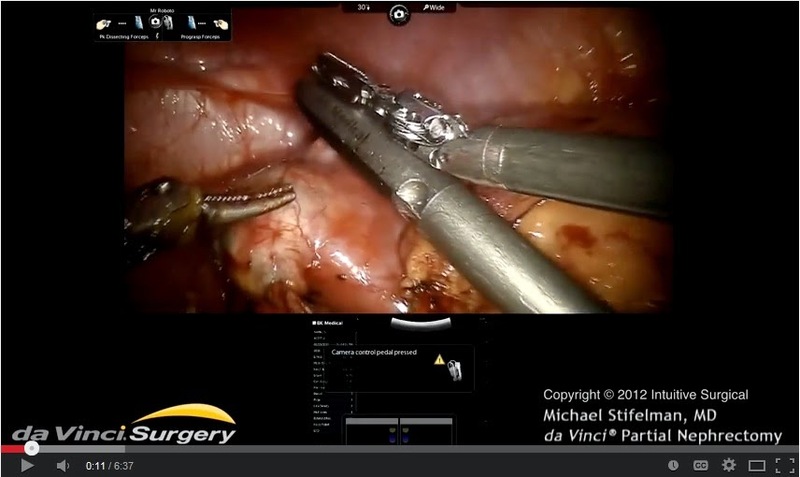 Note that this video has a copyright by Intuitive Surgical, not NYU. When a distinguished doctor allows his name and, indeed, his surgical acumen, to be used in support of a company-sponsored video, isn't that an implicit endorsement of a medical device? Given Dr. Stifelman's very public position as head of the program at NYU, doesn't this amount to use of the institution's name in support of a private company? Check out this video from the school and, again, see the very intentional conjoining of the NYU name and reputation with that of this equipment vendor. Perhaps these examples, plus the Bloomberg TV piece, will help in "reviewing the matter you have brought to our attention." Let's get back to disclosures, though. 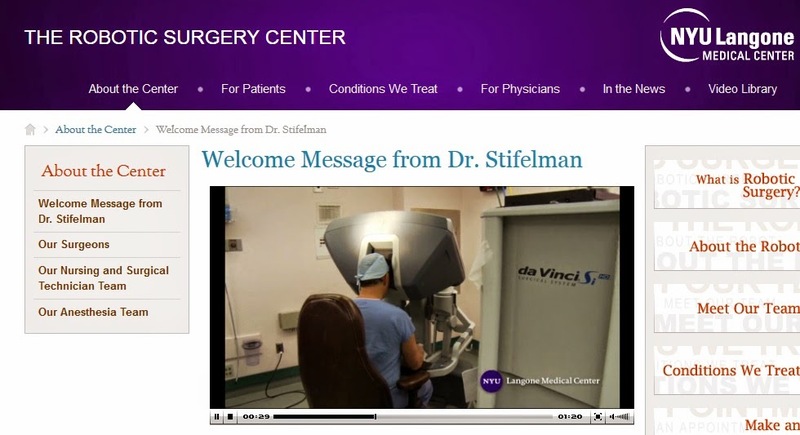 Dr. Stifelman makes no attempt to keep confidential his testimonials from patients. I in no way mean to take anything away from the feelings of grateful patients, and I am pleased they had excellent experiences, but it seems to me to be unseemly to use the observations and comments of people like this in public support of the doctor's practice when other matters--like potential financial support from medical equipment companies--remain behind a veil of secrecy. At Indian Head Farm: We like it here. People tend to view Massachusetts as an urban state, but there are areas very close to the urban centers that house lovely farms. On such, which is in its seventh generation of family ownership, is Indian Head Farm in Berlin. Here's a photo of the opening paragraphs of a recent Edible Boston article. 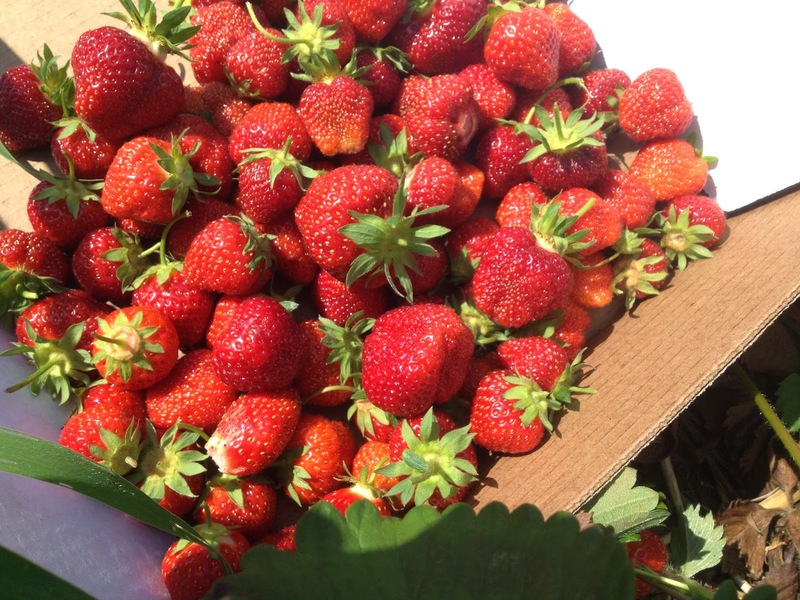 As you can see above, the strawberries are ripe and available for pick-your-own or just purchase. I've often thought that people should be weighed before and after picking, the difference to be added to the bill! But the Wheelers seem to take some on-the-job consumption in stride. Although Tim and Janet run the farm, Bill is still on site, too. 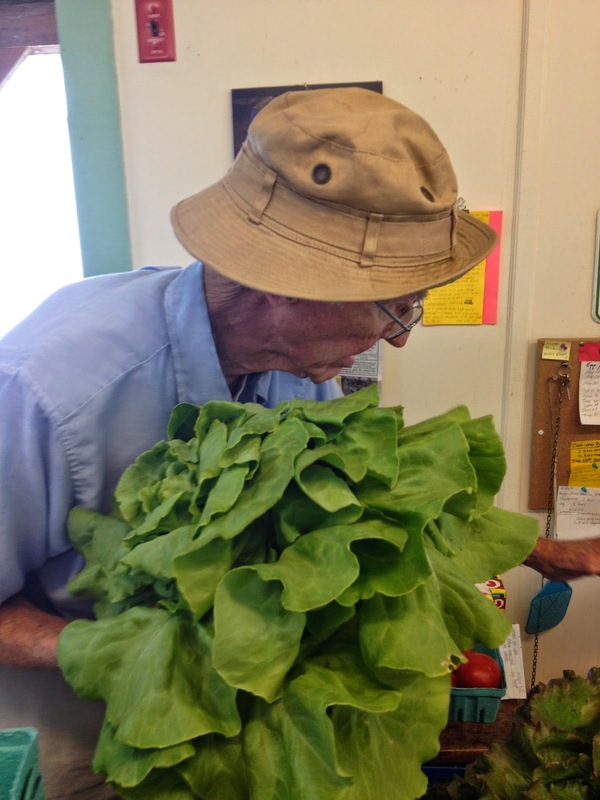 Today, when the shop was temporarily out of lettuce, he offered to cut some fresh for us and soon returned with this head of Boston lettuce. Yes, that's one head of lettuce. When we commented on the beauty of the place, Bill replied, "We like it here. Of course, we've been here so long, we don't know anything else." 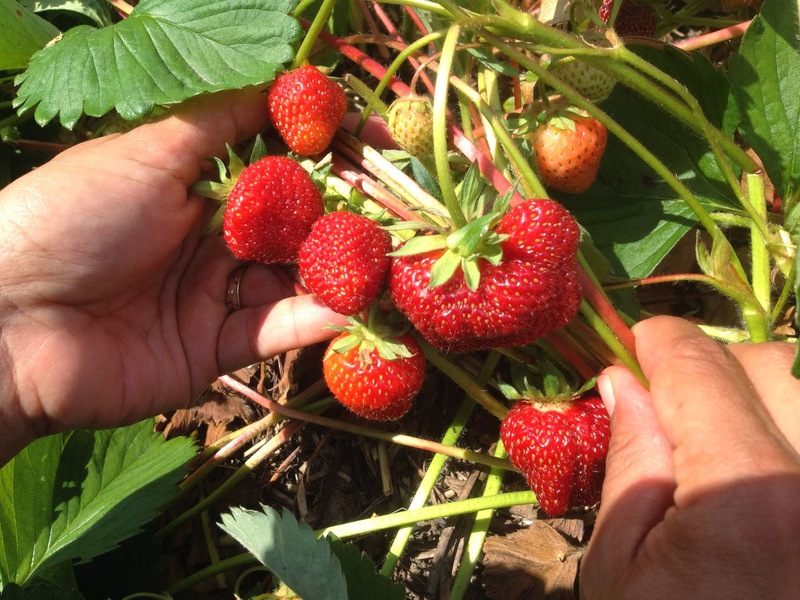 Here's another view of those strawberries. Worth a visit if you are in the area, I'd say. The same day the deal was filed in court, Deputy Attorney General Chris Barry-Smith sent a copy to legal officials at Beth Israel Deaconess Medical Center, Lahey Health System, Atrius Health and Tufts. “As you should be aware, this investigation and its ultimate resolution are litigation and law enforcement actions,” he wrote. “Bringing an anti-trust lawsuit or resolving it by consent judgment is, of course, a judicial process before the courts.” Barry-Smith noted his office asked for a court hearing at a later date, instead of immediately, and had publicly offered details on the agreement when it was tentative. “Ultimately, the decision on whether third parties, including competing providers, should be heard is up to the Superior Court,” he wrote. Barry-Smith added that his office intends to brief the Health Policy Commission upon approval of the deal. Coakley has said that the details would be available when the agreement is filed in court. And, how about passing the buck to the Court's discretion to allow or not allow comments? She could have delayed that slightly and allowed comments before it was submitted to the Court. The Rev. Burns Stanfield, president of the Greater Boston Interfaith Organization, says the group is disappointed the agreement bypassed the state’s Health Policy Commission. A break from health care. One of my favorite architectural features in New York, or indeed anywhere, is a group of three rats crawling up lines into Grand Central Station. I noticed them decades ago and have often asked friends from the City if they've seen them. Most have not, even people who have walked by this portion of Lexington Avenue hundreds of times. Q. 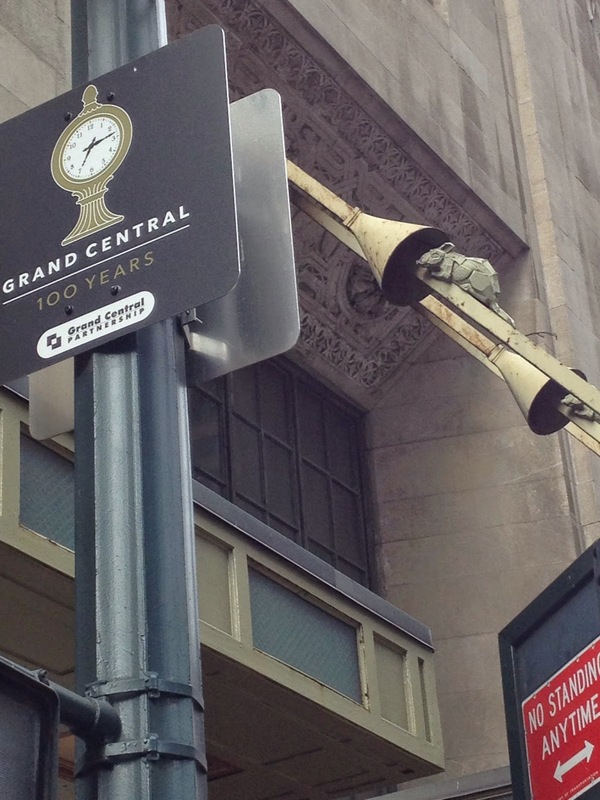 Why is there a sculpture of a rat crawling up one of three wires that holds the awning over the Graybar Building entrance to Grand Central Terminal on Lexington Avenue? A. Good eye. That rat (above) is not easy to spot. The architects of the Graybar building, Sloan & Robertson, included three cast-iron Norway rats in the design for the building. The sculptures depict sharp conical baffles on the mooring lines of ships, which were intended to discourage rats from climbing aboard. One of the three rats was stolen, and the other is being used to fashion a replacement, said Patricia Raley of Metro-North Railroad, which manages the terminal. The art deco Graybar Electric building was built in the 1920s, and as Graybar was originally a steamship company, the architects designed it with a maritime theme. Hence the mooring lines (the awning poles) of a ship securing the building to Lexington Avenue complete with its anti-rat funnels that deterred rats from stowing away on ships. 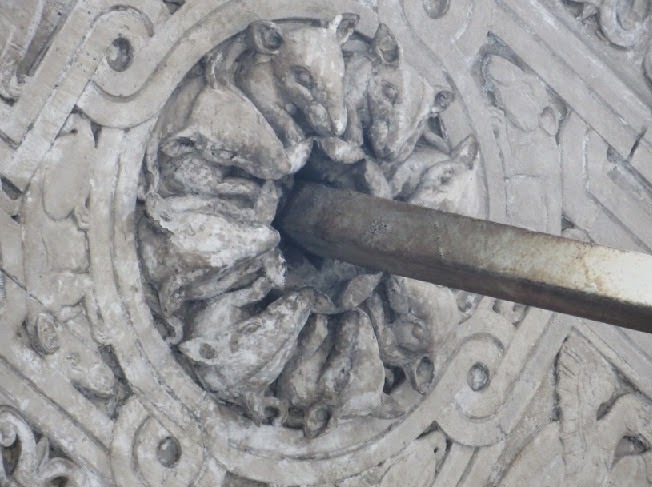 This building has its own three evil cast iron rats climbing above the building’s entrance. Apparently as the years went by, one of the rats mysteriously disappeared. But in 2000, when the building was being restored, there were special instructions to “replace the missing rat”. Even more unusual and not so obvious are the rosettes that connect the poles are actually decorated with rat heads. The English colonists tried to make the New World a haven from smallpox. Boston inspected all incoming ships; if one arrived with smallpox on board, it flew a quarantine flag and remained isolated until the disease had passed. People afflicted with smallpox were sent to stay — and often die — on Spectacle Island in Boston Harbor, safely distant from the city's population. However, even with these precautions, there was usually a smallpox outbreak every 12 years; each time, patients either survived and acquired immunity or they died. An epidemic occurred "on schedule" in 1702 and then, for some unknown reason, not again in Boston for 19 years. As more and more children grew to maturity without being exposed to the pox, Bostonians knew that when the disease did return, it would be more devastating than ever before. In the spring of 1721, a group of sailors brought smallpox with them when they came ashore in Boston. As soon as the first cases appeared, the town took dramatic measures to isolate the infected men, but it was too late. By May the city was in the grip of a virulent epidemic. 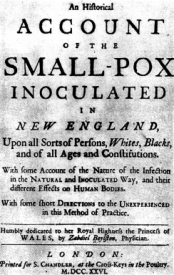 On this day in 1721, Boston doctor Zabdiel Boylston took a gamble with his young son's life and two of his slaves and inoculated them gainst smallpox. Puritan minister Cotton Mather had learned from one of his slaves that in Africa people did not fear the disease that so terrified Europeans. The Africans placed a small amount of smallpox pus into a scratch on children's arms, thus making them immune to the disease. 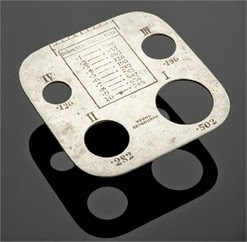 When an epidemic broke out in Boston in 1721, Mather wanted to try this method. He convinced Dr. Boylston, but other physicians and the public thought the idea barbaric, even sinful. However, when those Boylston inoculated survived, the tide of public opinion began to turn. Within a few years, the once-controversial practice would be routine. When news spread that Boylston's son and slaves had fully recovered, people began to defy the ban, seeking out the doctor to get inoculated. By the time the epidemic subsided, Zabdiel Boylston had inoculated 248 people. The procedure was grueling but 98% of his patients survived, compared to 85% of the non-inoculated. Cotton Mather published the results. Swayed partly by Mather's report and partly by similarly successful experiments in England, in 1722 the British royal family chose to be inoculated — a decision that helped win acceptance for the practice. Edward Jenner, an English country doctor and keen inoculator, later adapted the practice, developing a safer, more effective technique he called vaccination. 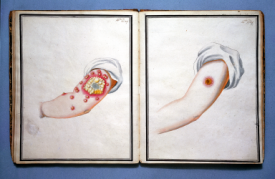 Having noted that local people who caught cowpox gained immunity from the far more dangerous smallpox, he successfully induced such immunity in an experiment on a local boy, James Phipps, in 1796. In a world of highly variable health care reporting--some good, some fair, and some poor--you might find it unlikely that some of the best work comes from Milwaukee, Wisconsin. But John Fauber at the Journal Sentinel has the skill to put out consistently excellent work. [N]ine of the 19 experts on the panel that produced the number had financial connections to companies that manufacture narcotic painkillers within three years of their work on the report. When FDA Commissioner Hamburg brought up the figure at a three-day summit on America's opioid epidemic in April, she went even further than the report did. She said concerns about opioid abuse must be balanced against "the very real medical needs of the estimated 100 million Americans living with severe chronic pain or coping with pain at the end of life." And so on. You can read for yourself. What I enjoy about this story is how well researched it is, as well as its construction. It is readable and interesting and lets the reader have enough information to draw thoughtful inferences. I wish more reporters were given the training and time (and space) to produce reports like this. In the meantime, I'm pleased that we can look to Milwaukee for more excellent work along these lines. 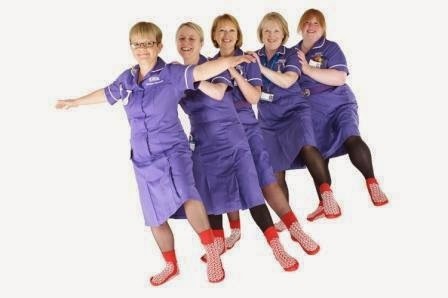 Sock it to 'em, NHS! 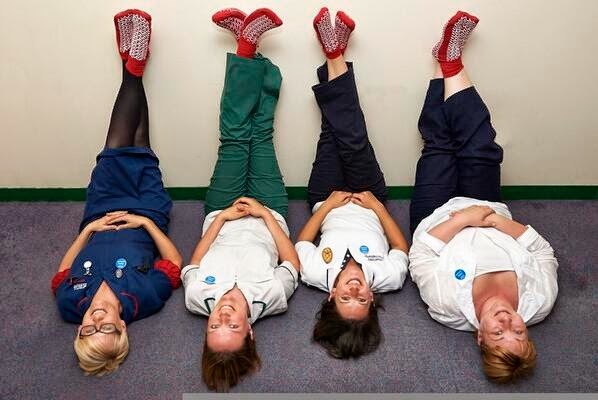 Seen on Twitter: The red sock initiative by the NHS hospitals to help avoid falls. Nice idea. Good spirit, too, as shown here! Partners HealthCare System has agreed to pay $3.3 million to cover the cost of the state’s five-year investigation into its market power, and for a court-appointed monitor to scrutinize its actions for the next decade. According to its audited financial report, PHS' revenue in 2013 was $10 billion, producing revenues in excess of expenditures of $600 million. So, the agreement produced a financial commitment of .01 percent of one year of the company's revenues, or .55% of one year's annual gain. The payments are detailed in a much-anticipated final agreement between the health care giant and Attorney General Martha Coakley filed in Suffolk Superior Court Tuesday. The “consent judgment’’ follows the outlines of a preliminary agreement reached by the two sides in May, allowing Partners to acquire South Shore Hospital in Weymouth and at least two other community hospitals, but restricting its further expansion and temporarily capping its prices. This issue is big enough, in terms of the impact on the state economy for decades to come, to cost the AG the [gubernatorial] election. Mark Graban tells a good story about a union that tries to hide its sponsorship of a political agenda under the guise of patient safety website. It's the Massachusetts Nurses Association, which is pushing for legislation to set mandatory nurse staffing ratios. Mark gave the following title to his piece: "Irony – When An Advocate for Healthcare 'Transparency' Hides Who They Are." Wrong heading, Mark. It's not irony. It is deception, pure and simple. You gotta give me something to work with! "Representatives from state Attorney General Martha Coakley’s office and Partners HealthCare System continue to haggle over terms of a final settlement that would allow Partners to acquire South Shore Hospital in Weymouth and at least two other community hospitals while limiting its further expansion and capping its prices for up to a decade." Guys, you gotta give me something to work with. I had this all planned so well. Look at this announcement, timed carefully to precede the state Democratic convention. We promised that we would "fundamentally alter the negotiating power of Partners HealthCare for 10 years and control health costs across its entire network." We coordinated that with your announcement. You made the deal sound hard on you by talking about the "challenges we will face with these conditions." Together, we got the Globe to write an editorial endorsing the deal, saying it will impose "significant restrictions on short-term rates and bargaining power." [It] will go a long way toward killing a reasonable possibility for the emergence of any coalition that will have a chance to create effective, cost-lowering competition. What a deal! To steal a concept from Joel Chandler Harris and the tale of “Br’er Rabbit,”Partners has been thrown into a pretty comfortable “briar patch” with this deal. Then, others jumped and demanded to see the deal before it was filed. I had to promise they will. I had to "commit to being transparent and allowing for feedback." So now, we have to come up with something new. If I just file what we had before or with minor changes, it will get eviscerated. But if I file something with major changes, some people will say that I didn't do the job the first time and am only responding to public pressure. That's ok, because I know I can count on you to talk about how much more difficult it will be for you and how tough I was, right? Guys, you gotta give me something. Please check out this new blog by Richard Corder. He has delightful observations about many things, beyond the ostensible focus on patient safety. Please post comments and suggestions for him, ok? In his work life, Richard is Assistant Vice President, Business Development for CRICO Strategies where he helps doctors and hospitals throughout the land achieve their commiment in patient safety and quality. A friend is seen by a doctor at a primary care practice that is a participant in the Open Notes experiment, which permits patients to view their doctors' notes, which are posted on the patient portal. He was recently reviewing his PCP's notes, which were written after he was diagnosed with a common ailment, important but not life-threatening. The doctor said, that he "has multiple questions, some of which were challenging to answer." He was concerned and didn't know how to react to this. Is "challenging" a code word for "this is an annoying person?" Does it mean that the doctor thought he was challenging the recommendations of the care team? Or, does it simply mean that the questions were difficult even for the doctor to answer because of uncertainties in the situation. Theoretically, Open Notes would be a stimulus to an expanded conversation to clarify this ambiguity, but my friend--in case the interpretation might be the first or second one listed--is reluctant to raise the issue. He's worried that if he's already considered a bother, the doctor will not answer honestly or will be further annoyed. The Open Notes people assert: "Our evidence suggests that opening up visit notes to patients may make care more efficient, improve communication, and most importantly may help patients become more actively involved with their health and health care." But there are always unintended consequences from experiments. What do you think my friend should do? Clearly, on a need-to-know basis only! 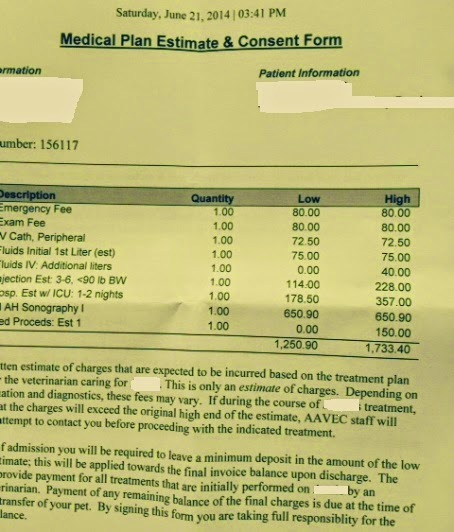 A friend received this cost estimate as part of the consent form from the vet when a pet needed a procedure. I wonder if people will ever get the same, an itemization with high and low estimates? Whenever I promise myself not to write another post about robotic surgery, I see an ad or an interview doubling as an ad so full of misrepresentations that I have to reach out for an antiemetic. Here's the latest, a June 18 piece on Bloomberg TV. It is shocking because Bloomberg is so careful about accuracy in its news reports. Of course, the video starts with a short ad, which is clearly labeled as such. But they really should have kept that label in place for the duration of the video. Did Intuitive Surgical pay for this piece or just provide the visuals? For surely they did provide the visuals, as is clearly disclosed. It appears that they also provided some answers. When the interviewer asks at, 3:56, "What about the costs?" Dr. Michael Stifelman from NYU's Langone Robotic Surgery Center responds, "There is a perception that robotics is going to be more costly. What we're finding is that, when put into experienced hands . . . those increased cost are somewhat nominal if anything. The benefit for the patient is they're going to get out of the hospital earlier . . . less risk of blood loss, less pain, and most importantly . . . the costs to society. Each patient will be able to get back to work more quickly than they would using a more traditional technique for these procedures." Dr. Michael Stifelman, Associate Professor of Urology and Director of Robotic Surgery at NYU Langone Medical Center, has been named the 2011 recipient of the Crystal Award, given by Intuitive Surgical, Inc., to surgeons who have contributed significantly to the advancement of clinical knowledge in the field of robot-assisted surgery. The company, which manufactures the da Vinci Si robotic surgical system, gave the award to Dr. Stifelman in a ceremony at its annual meeting in Boca Raton, Florida. And the company also promoted his interview with Diane Sawyer as well as numerous entries on its DaVinci Surgery Community site. But here's the great part. While Dr. Stifelman talks, the video meticulously presents the visual story of a grape being peeled. I wondered if a surgeon might tell us how relevant that is to prostatectomies, hysterectomies, and the like, so I did a Google search on the question, "Is surgery like peeling a grape?" I was overwhelmed by the response. What good fortune. Here's a portion of that page from my browser, with videos going all the way back to 2010. 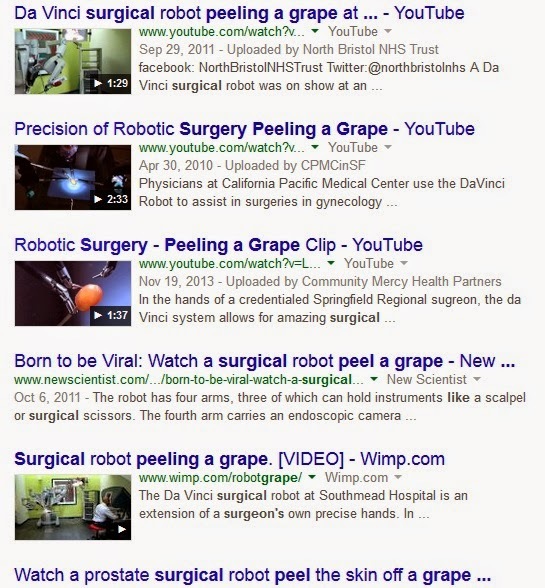 Surgery is like peeling a grape, and how lucky we are to be able to do that robotically. There are two major unsolved robberies in Boston. 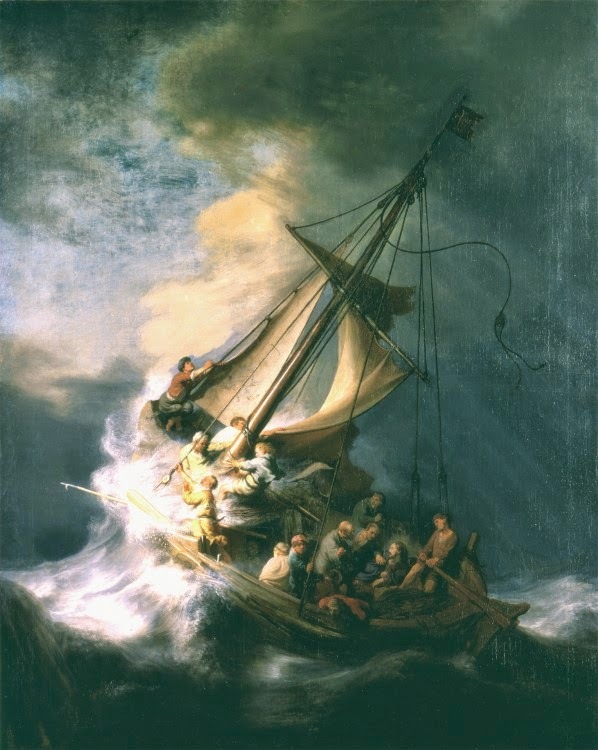 The one that has received the most press attention is the 1990 theft of thirteen masterpieces, including this piece by Rembrandt, from the Isabella Stewart Gardner Museum. That theft remains unsolved to this day, notwithstanding thousands of hours of detective work. Wikipedia makes an error in its summary of the case: "Altogether, the stolen pieces are estimated to be a loss of $500 million, making the robbery the largest private property theft ever." No, a much larger robbery began just a few years later, when the Partners Healthcare System was established. The business concept was elegant: Establish a network, bookended by the two largest Harvard teaching hospitals and comprising a number of important community hospitals and thousands of primary care doctors and specialists. Too big to be left out of any insurer's network, it was able to use its leverage to demand payment rates far in excess of those received by any of the other hospitals and physicians in the region. My conservative estimate of the excess revenues annually received by this system is $200 million. (I'm pleased to be corrected on this.) In just 2.5 years, PHS extracted more value from the Massachusetts economy than the value of the Gardner's paintings. Now, celebrating its 20th year, the total is in the billions. The difference, though, is that this heist has been in the form of cash paid by the businesses, governments, and individuals in the region. Why has nobody noticed? More specifically, the major media in the state and the Attorney General, who supervises the so-called "public charity" represented by PHS, have failed to apply their analystic skills to ask the question: If, as everyone knows, PHS collects excessive amounts of revenue, how can it be that its reported results are in the range of others who do not? Let me provide the quick and dirty answer: The true mastermind of this monetary transfer is the person who has been able to hide these funds. The corporation's CFO has been the artist who has painted the picture year after year that the overall margin earned by PHS is within the range of other healthcare systems. How? There are several ways to increase the expense lines in an income statement. Let me mention just two. The first is to bury the money, literally. 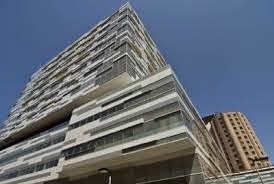 Build new buildings that have little inherent value to society, excessive architectural features, low occupancy, and that have expected rates of return that are so low (or negative) that they would be derided in other industries. Why have no reporters questioned the business case for these structures? Each year, the operating costs of these buildings and depreciation offset the revenue line of the corporation, lowering net income. The second is to establish reserve accounts that are excessive relative to what would be required. Additions to reserves are debits against income in the year they are booked. When a year's receipts are looking "too good," all you have to do is invent a need for some new or expanded reserve accounts before the fiscal year closes and park the cash there. Here's a little secret: No accounting firm that wants to keep such a major client will raise substantial objections to a healthcare system that chooses to adopt conservative standards for reserves. It's time for an enterprising reporter to dive into these matters. Ask the question: Where did the cash go? We all know it was collected. If we look in the right places, we'll find out where it went, hopefully even before we recover the Rembrandt. An afterthought: If I am shown to be wrong about the use of such accounting devices, we face an even more distressing conclusion, that the high rates received by PHS for two decades have been absorbed simply by the operating costs of the system. Why is that thought distressing? Because it would signify that that the system is incredibly less efficient than others in the state, requiring an extraordinary level of revenues to treat essentially the same types of patients as seen by other academic medical centers, community hospitals, and physicians. And, as evident from published data, at no higher levels of quality. There are so many aspects of this deal that are tailored to sound reassuring but are, in fact, hollow. Before any real information was available to understand how or if this approach could actually work, the Boston Globe was very eager to believe that a secret handshake between Partners and the Attorney General's Office would undo the damage caused by The Secret Handshake between Partners and Blue Cross that the Globe's own news division uncovered in 2009. It astonished me that without any information on how these "caps" would be enforced or monitored the Globe expressed such strong, unconditional support. How could they tell this deal would have the intended impact? For example, will this deal rely on the same insurers who kept silent for more than a decade (while doling out 10-15% annual price increases to Partners) to throw a flag on the field if they believe the cap is eclipsed? Or will there be a monitor keeping up with all of their contracts and systematically quantifying price increases/decreases in real time to ensure compliance? Will the increases be estimated projections or will actual total price increases be calculated as a look-back and adjustments made on actual service types and mixes? And the very simple physician market share math that Gene Lindsey laid out is of no concern even IF the caps can be enforced? I'm afraid these admittedly tedious details matter quite a bit; an "estimated" 1.5% increase can easily become double or triple that as norms of care change and the clever people at Partners carefully select which services they decrease prices on by 5-6 % and which they increase prices on by 6 or 7 percent. And if Partners can add a number of physicians that effectively would give them all of the remaining unaffiliated physicians in Eastern Massachusetts, is that really a growth cap at all? The Globe blessed the deal (without reservation or caution!) in the absence of the answers to these reasonable questions and concerns; puzzling indeed. I appreciate that your blog is a place where we can get a more realistic analysis of this situation rather than the blindly rosy acceptance of a story that hopes to put to rest an inconvenient political hot-potato. Ignoring the fact patterns of the past 20 years, and chalking up concerns with this deal as the wonky white noise of the sour grapes crowd, will not lead to an outcome the Commonwealth will be proud of in another 20 years. I continue to wonder what harm could possibly come of a transparent, thorough, fact-driven analysis of such an important settlement? The future Gene Lindsey paints is all too possible and of national importance as other states look to Massachusetts to see what we will do to reign in costs. At least your blog will be one place where our national counterparts will see it was debated in the clear-eyed, analytical way it deserves. However it is a huge loss if, for the most part, our elected officials, local media, and public institutions choose not to insist upon and participate in a transparent and rigorously analytical process. I have a shorthand saying about finding the underlying cause when a clinician is involved in harming a patient: If you can say, "It could have happened to anybody," the cause is not personal. Unfortunately, though, there have been too many stories about nurses being blamed for errors in hospitals when the actual causes were underlying human factors problems or work flow poor designs or other systemic issues. There are very few stories about hospitals that have acknowledged this error of blame and apologized to the nurse and the community. Here's one example of the latter, from Medstar Health. Annie's story presents a message to us all about the need for a just culture in an organization--and about valuing the people with whom we work. The next WIHI broadcast — New Roles, New Routes for Managing Populations — will take place on Thursday, June 19, from 2 to 3 PM ET, and I hope you'll tune in. If you’re wondering why health care quality and clinical leaders have been talking a lot more with their counterparts in finance or IT, look no further than the latest value-based contract they’ve likely just entered into with a payer. Within a hospital, these leaders may be putting their heads together to figure out how to deliver better care and better value for whole populations of patients. How might their data systems, for instance, help them better understand the utilization patterns and needs of everyone they see with Type 2 Diabetes? Or, within an accountable care organization (ACO) comprising a major hospital system, several physician practices, and a skilled nursing facility, how can the representative senior teams guide operations to reflect new, shared responsibilities and forge new ways to work together? It’s early going with these new types of arrangements, and no one has it all figured out. 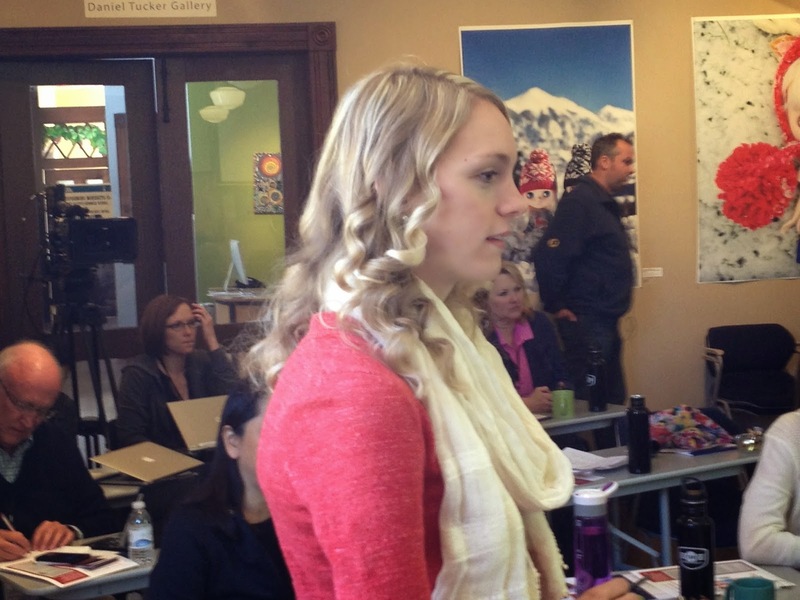 But as organizations from across the continuum of care get up to speed, they’re eager to share what they’re learning. We’ll provide this opportunity on the June 19, 2014, WIHI: New Roles, New Routes for Managing Populations, anchored by WIHI host Madge Kaplan and IHI’s Senior Vice President Dr. Trissa Torres. Dr. Torres, a long-standing medical director, has many years of experience from her work in Michigan developing greater collaboration between health care delivery organizations and surrounding communities to improve population health. At IHI, she is currently helping to frame the skill sets all leaders need to accelerate this type of change on a broader scale. The June 19 WIHI will also tap into the on-the-ground experience of Dr. Clay Ackerly, whose title at Partners Healthcare, “Associate Medical Director of Population Health and Continuing Care,” speaks to the new responsibilities he has and that are in store for leaders like him. Dr. L. Gordon Moore, with years of experience helping to redesign primary care, is now working with office practices to enlarge this vision to encompass population health. Rounding out the June 19 WIHI panel is the CEO of the American Geriatrics Society, Jennie Chin Hansen, whose pioneering work in San Francisco helped lay the groundwork for the comprehensive and integrated national program known as PACE. She understands well the needs of older patients, an increasing number of whom now receive their health care in hospitals, clinics, and community settings that are operating under shared savings agreements with Medicare. Everyone will walk away from the June 19 WIHI with some good ideas to carry forward, including your own ideas and experiences which the panelists are very eager to hear about. To get ready for the program, you might want to try out a population management assessment tool that IHI has developed. See you on June 19! I hope you’ll tune in for this essential discussion and share your ideas and potential solutions. You can enroll for the broadcast here. Would you please help encourage one of our thoughtful and committed young doctors? 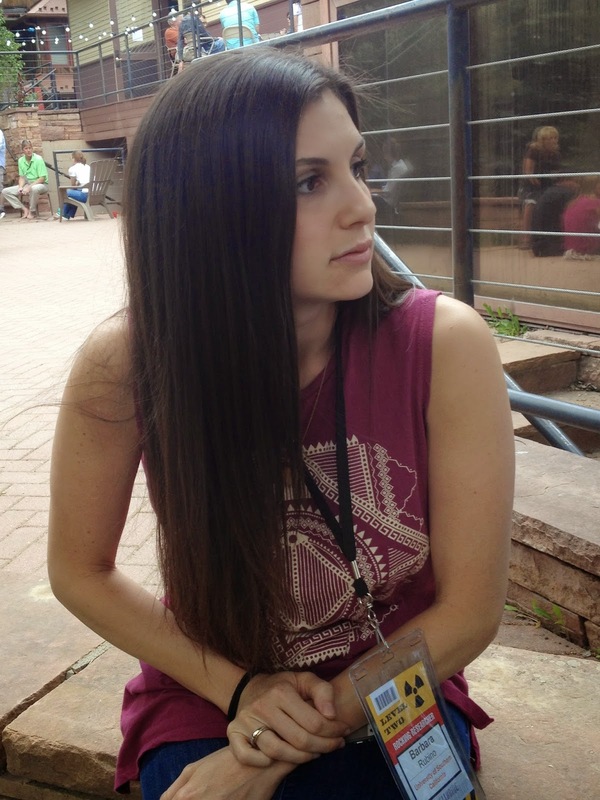 Julia Meade, one of the residents who attended last week's Telluride Patient Safety Resident Physician Summer Camp, was inspired by the experience to start a blog called The Hospital Docent. She's posted a couple of entries in the last few days. 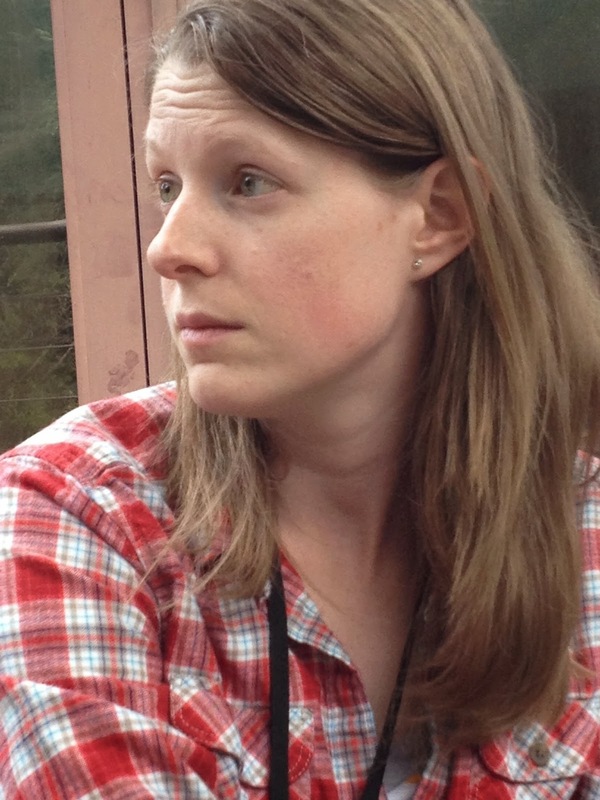 Would you please take a moment to welcome her to the blogosphere and comment on her posts? Perhaps you might want to suggest topics for future entries, too. Also, please refer her blog to others who might be interested, ok? 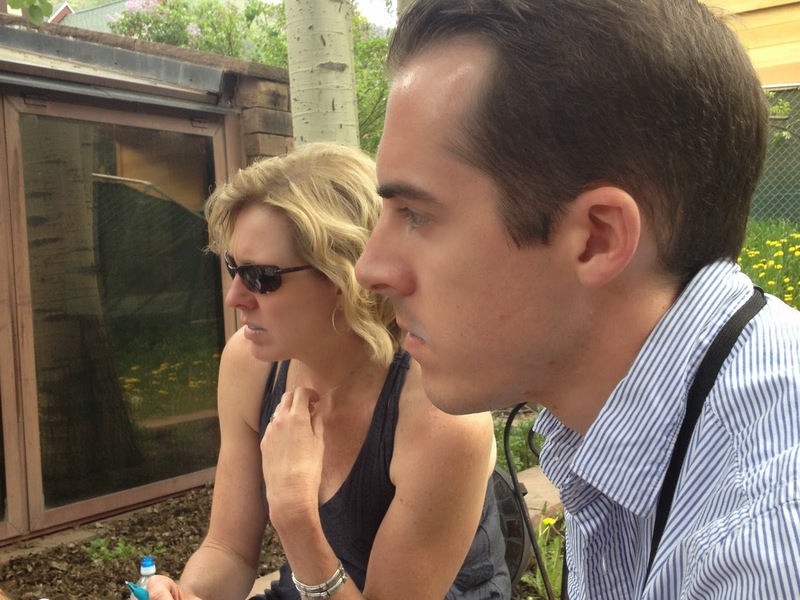 One of my roles as a faculty member to the Telluride Patient Safety Student and Resident Physician Summer Camps is to conduct a three-hour workshop on principles and strategies of negotiation. The camps, after all, have a strong focus on the power of effective communication in reducing patient harm. Negotiations occur all the time in clinical settings--between residents and nurses, between nurses and attendings, between clinical staff and patients and families--and our faculty leader Dave Mayer has asked me to provide some insights about negotiation to the students. People who are likely to be the future leaders of health care institutions in America and abroad often come to me for career and training advice. My constant refrain is to learn the principles and framework of negotiation strategy. Negotiation can be defined as means of satisfying parties’ underlying interests by jointly decided action. You cannot be a leader if you do not know how to help a hospital’s constituencies understand that their interests are coincident with the purpose of your organization and if you cannot help them jointly decide on the actions needed to carry out that purpose. 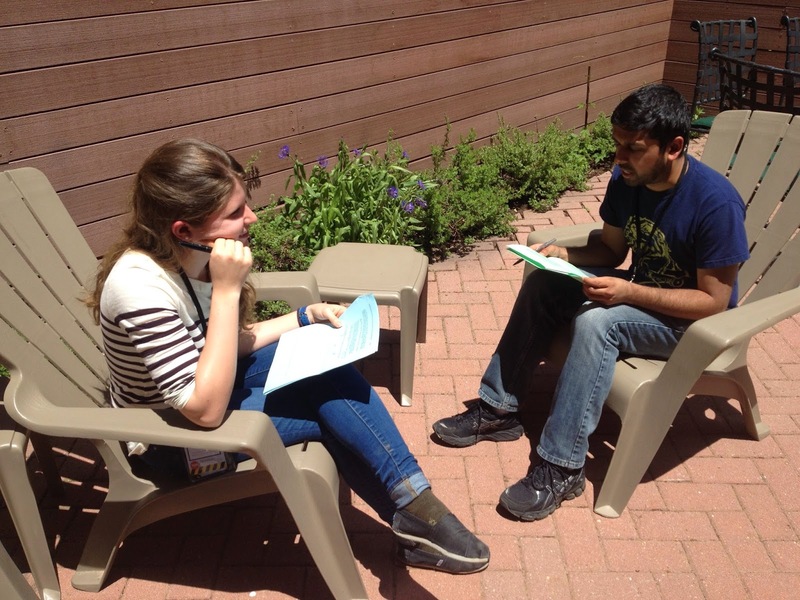 The Telluride workshop is a highly interactive session in which the students participate in negotiation simulations, followed by a debriefing of the results they achieve. It is by comparing the disparate results from the same fact pattern that enable us to tease out what is effective and what is not effective in a negotiation. There's one particular "negotiation" I like to conduct during the workshop. I auction off a $10 bill, with the condition that both the winning bidder and the second place bidder have to pay me the amount of their bid, but only the top bidder wins the $10. Here's a lovely summary of this game, offered by Derek, one of the participants, along with the lessons he learned. 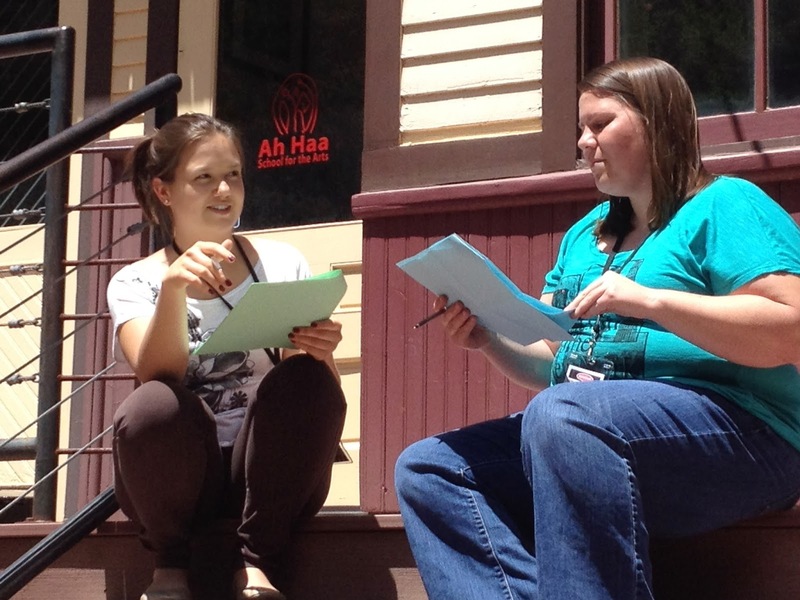 Here are some of the students in action during one of the other exercises. I received 1 hour of training on patient safety as a medical student and 2 hours as a resident physician. During my time in Telluride, I learned more on how to keep you and your loved ones safe than I have in 7 years of medical training. I am surprised at how important this little shindig is. I knew many students applied, but I didn’t realize how carefully selected we all were. Before we had a chance to get puffed up from being flattered by that bit of information, we were reminded of the crippling truth of why we are gathered here---many students and faculty have been directly affected by a negative patient outcome, be it fatal or nearly fatal. I was taken aback by the support and interest and frank seriousness of the whole matter. I am so looking forward to the next few days. I can already foresee the dedication the students, faculty, and families with personal stories have. I am so excited to learn and soak up the many different techniques and tools with which we students can equip ourselves to tackle this hugely devastating and largely ignored/accepted tragedy. Wish us luck as we go on this journey of personal and professional growth! Based at the Martin Trust Center for MIT Entrepreneurship, MIT Hacking Medicine brings together stakeholders who are passionate about changing the status quo in healthcare. The "hacking" approach fosters an ecosystem of empowerment for launching disruptive healthcare solutions. To date, more than 16 hackathons have been held across four continents, resulting in more than 600 idea pitches and the formation of more than a dozen companies. For those of you in Massachusetts who still think that the deal between the AG and Partners Healthcare System will restrain the growth in this system's market power, check out excerpts from this current job posting from ZurickDavis, a health care executive search firm. It sure doesn't look like PHS is feeling very constrained about network growth. Partners Community Healthcare, Inc. (PCHI) is seeking a Vice President of Network Development (VP). The President and the Board of PCHI have created this senior position to lead the newly refined mission of PCHI, now the community physician enterprise of Partners Healthcare. The Vice President will work with the senior leadership across the Partners system to implement the community physician practice strategy, enhance the network, and further develop PCHI infrastructure to support alignment and coordination across the system. 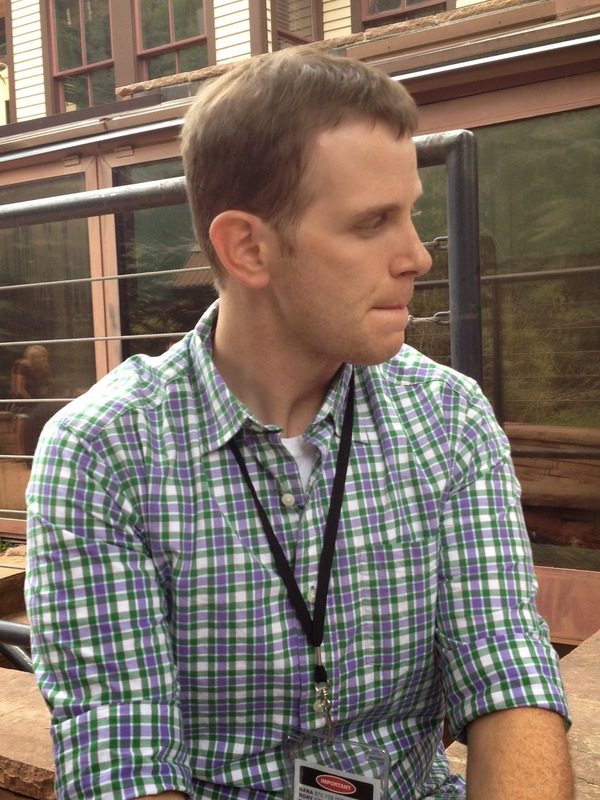 The new VP of Network Development will join PCHI at a uniquely opportune time. PCHI is a founding member of Partners Healthcare, which was established in 1994 by two world renowned hospitals, the Massachusetts General Hospital and Brigham and Women’s Hospital. Partners Healthcare grew quickly and broadly in its first 20 years and PCHI was a key player in that growth and evolution. PCHI has a $200M budget and has produced positive operating margins. The PCHI network has 600 PCP’s, 1,400 specialists, and includes 650,000 covered lives. The Vice President of Network Development reports to the PCHI President and is the leader who will drive the value proposition and make the case for joining the PCHI network. The VP will evaluate the markets and the opportunities for network expansion of the PCHI community physician enterprise. The Vice President will develop innovative business models and create incentives for community practices to join PCHI. The new VP of Network Development will be a highly visible leader in PCHI and Partners Healthcare. S/he will collaborate with network development leaders at MGH, BWH, and the other Partners organizations. The VP will be at the helm of PCHI network expansion as the PCHI mission is being recast as Partners Community Physician Organization, the network of choice to attract and retain the best community practices and physicians. The right candidate will be a recognized leader in the health care marketplace, a network builder, and a strategist with excellent relationships with physician leaders. A dynamic and innovative leader, he or she will have substantial experience in business planning and negotiating physician group network and business agreements. While the AG’s office is monitoring price and preventing the acquisition of other hospitals or large medical groups, what will be really happening? What will be happening is that money will be flowing from the vast resources that already exist within Partners from their previous price and contract advantages to build and populate ambulatory care centers and practices in the communities of these new acquisitions. The paper talks about an additional 550 physicians. That is more than enough to take care of more than an additional 500,000 patients. Take the South Shore as an example. It is rumored that a new magnificent ambulatory facility will be built for 80 new PCPs. That would translate into at least 180,000 patients, if not more. The South Shore is growing but the population of the 16 towns that constitute its whole area from Quincy to Plymouth is less than 500,000. So where will the patients come from that will fill these new offices? My guess is that the patients will come from the existing practices of physicians on the South Shore. 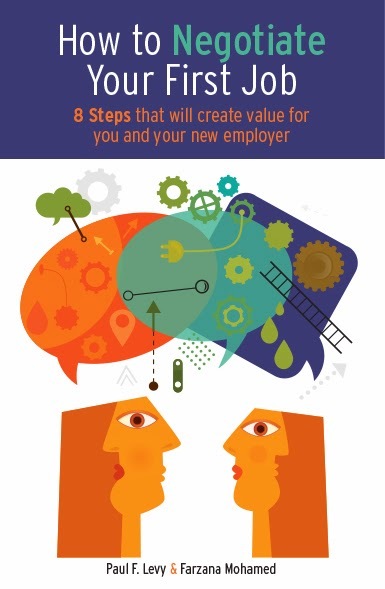 The deal prevents them from joining Partners as a group but it does not prevent them from individually relocating their employment and having their practices follow them. The future of finance in healthcare is not your price; it is the population that you serve. It will be very hard for existing practices on the South Shore to compete with the resources that will flow into the South Shore from Partners. About the time this transition is completed the prohibition on price increase will expire. By that time there will be little or no residual competition to balance the market. A five to ten year deal in healthcare is no deal at all. In a resolution that would fundamentally alter the negotiating power of Partners HealthCare for 10 years and control health costs across its entire network, Attorney General Martha Coakley today announced a groundbreaking agreement with Partners that would allow the organization to acquire South Shore Hospital and Hallmark Healthcare. While the press release acknowledged that the deal was subject to finalization, we all know that these kind of announcements are not meant as trial balloons. Particularly during a gubernatorial campaign, you don't announce something like this unless you are sure the deal is done. In an unusual, perhaps unprecedented move, leaders from across the health care industry are calling for closer scrutiny of a deal that would cap prices for Partners HealthCare in the short term but would let the state’s largest hospital network add four more hospitals. The pressure is mounting on Coakley just a few days before the state’s Democratic nominating convention where Coakley, a candidate for governor, is expected to gain enough delegate votes to get on the primary ballot. * Disclosure: I have donated money to two other candidates in this race, one of whom has now come out in opposition to the deal. A group of hospitals and a major multispecialty practice has finally woken up to the negative impact the AG-Partners deal will have in the Massachusetts health care market. Here's the Boston Globe story and a companion from WBUR. The problem, of course, is that these will be viewed as self-serving comments by the competitors of PHS. More powerful comments would be those that come from the business community (like Associated Industries of Massachusetts, the Greater Boston Chamber of Commerce, the Business Roundtable, the MA Taxpayers Association; Health Care for All and other public advocacy groups and unions like SEIU 1199; and insurers. Where are they? Asleep at the switch, I'm afraid. Are they so intimidated as to not pursue their own self-interest? And what about the Governor, and the gubernatorial candidates, and the attorney general candidates? 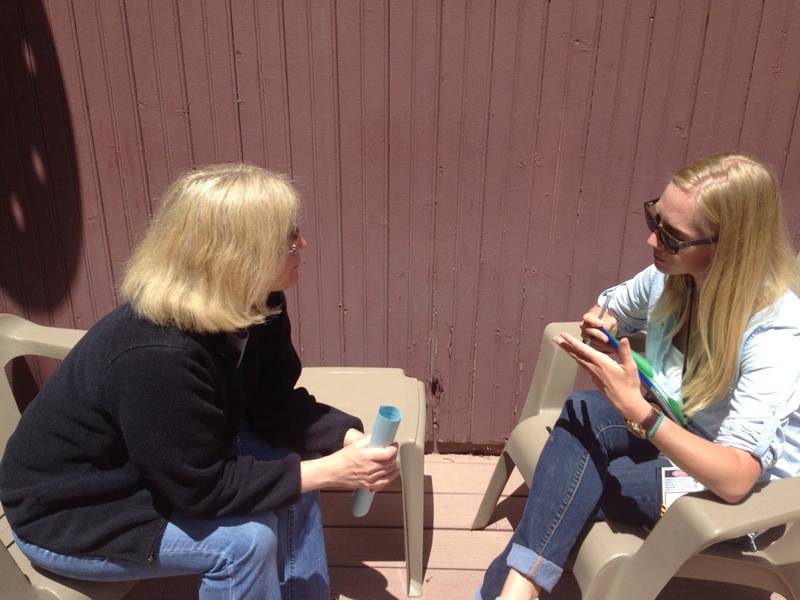 After watching the Michael Skolnik story here at Telluride, the residents and faculty broke into small groups to consider the issues involved in getting proper informed consent from patients who are about to undergo procedures. 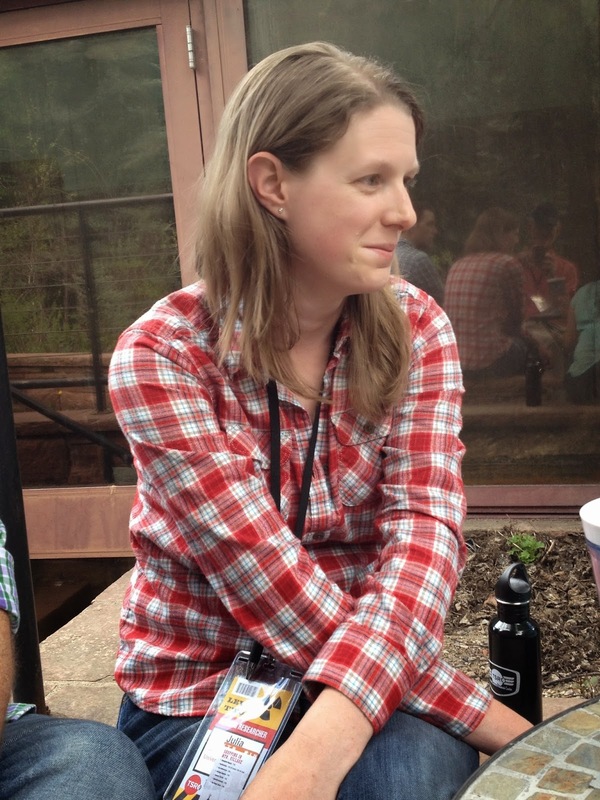 Faculty member Kim Oates later reminded the residents, "The consent form doesn't replace the conversation. And the conversation is not a conversation unless it is a two-way conversation." Although the focus was on the humanitarian reasons for engaging in proper consent procedures, faculty leader Dave Mayer also pointed out that informed consent breakdowns are a top reason for losing malpractice cases. He also reminded the residents of the value of encouraging people to seek second opinions, not only for the patients themselves, but also for the doctors: "We’re all biased towards doing the procedures we’re trained to do. If you think you’re not, you’re fooling yourself." Here's a composite of pictures of the members of one of the breakout groups . In an era of prosaic, he-said-she-said health care reporting by the estbalishment media in his own state and north of the border, Richard Asinof's coverage of the issue in ConvergenceRI provides a clinic for journalists everywhere. Politics is the story of who gets what, when and how, so there was nothing shy or surprising about the latest power move by CVS Caremark. The retail pharmacy chain had been upset by the conditions imposed by Dr. Michael Fine, the director of the R.I. Department of Health, in a May 14 decision approving the licensing of seven MinuteClinics in Rhode Island, following an involved, lengthy public process before the R.I. Health Services Council. In response, the Woonsocket-based corporate behemoth, which earned $126 billion in revenue and $8 billion in operating profits in FY 2013, went straight to the offices of Rep. Nicholas Mattiello, the new R.I. Speaker of the House, to get the conditions watered down. Mattiello, in turn, called Gov. Lincoln Chafee. Behind closed doors, in private, in a meeting that included Richard Licht, head of the R.I. Department of Administration, and Peter Marino, director of the R.I. Office of Management and Budget, as well as CVS and MinuteClinic officials, discussions were held on how to cut out conditions that CVS didn't like. What was the problem with the initial conditions? CVS has not commented specifically in public about what it found to be unfriendly to business. What can be determined is what changes occurred between the initial and final, revised conditions. Beyond the immediate results of CVS being able to revise what it considered to be problematic conditions to its bottom line, the ability of political leaders to rewrite conditions behind closed doors raises questions about how future health care policy decisions will be made – and by whom. That ConvergenceRI, with limited financial resources, can produce this kind of piece on a regular basis is a gift to the people of Rhode Island. It is also an example to the establishment media that their shallow coverage just does not make the grade. Some critics have attacked the arrangement as merely enshrining the status quo, but it actually does a good deal more. Holding Partners’ annual rate increase to general inflation amounts to a real-dollar freeze on costs at the state’s leading provider over the next six and a half years. That’s significant — and something that would not otherwise occur. Over the last decade, Partners had regularly gotten increases in the 4 to 5 percent range, and sometimes higher. And the inflation of medical costs typically runs about 1.5 percent higher than general inflation, which makes the deal look even better. As a further restraint, the deal stipulates that annual cost increase to insurers from Partners’ HMO contracts won’t exceed 3.6 percent, the state’s health care cost-constraint benchmark. (Those costs are driven by a combination of the rates charged for care and the number of times that care is delivered.) If Partners exceeds that cap, it will have to refund the extra to the insurers; other health care providers merely have to develop cost-control strategies. The editorial tries to find virtue in the deal by comparing it with Partners' monopolistic-like pricing over the past decade (actually almost two decades, but who's counting.) That pricing has enabled the healthcare system to accumulate a huge balance sheet--in cash, in investments in unnecessary plant and equipment, in overstated reserve accounts. It has also enabled it to have rates that are remarkably higher than other providers. Remember this quote? “What surprises me most is the difference between Partners and their next biggest competitor,’’ said Áron Boros, executive director of the Center for Health Information and Analysis, which compiled the report. He said Partners has been able to negotiate high prices with all insurers, unlike other systems. “None of them has the consistent success of Partners in driving prices up,’’ he said. In all, billions of dollars above what was required to maintain high quality care and research. There is scarcely a provider group in America, much less Massachusetts, whose financial plan is not built on the idea of rates raising at the rate of inflation. By holding PHS to that level, the AG has achieved a nullity relative to the industry. But by applying that rate to the excessive level that exists for PHS right now, the AG has permitted the disparity between PHS and the other Massachusetts providers to grow. The Globe Spotlight team pointed out all these issues a few years ago. Now, its editorial board seems to have forgotten the facts presented by its colleagues in the other section of the newspaper.